“The use of timber contributes to the sustainability of the building, both reducing construction time and allowing the building’s elements to be easily disassembled and re-used for other purposes,” said 3XN in a project statement. “The use of wood, a breathable and absorbent material that allows the release of moisture, ensures a naturally regulated and healthy indoor environment,” the firm said. 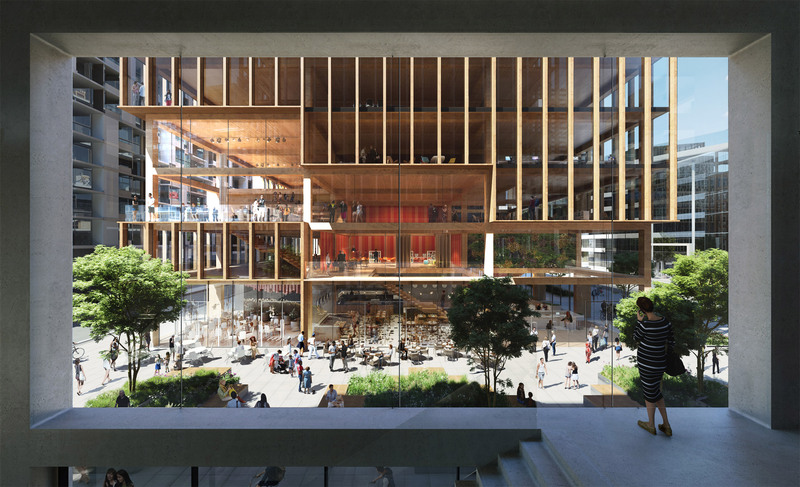 “With T3 Bayside, we created flexible office spaces that can meet the requirements of a diverse group of tenants, both at the moment and in the foreseeable future,” said Kim Herforth Nielsen, 3XN founder and creative director. Many wooden buildings have been proposed for Canada recently, making the most of the country’s readily available resource. 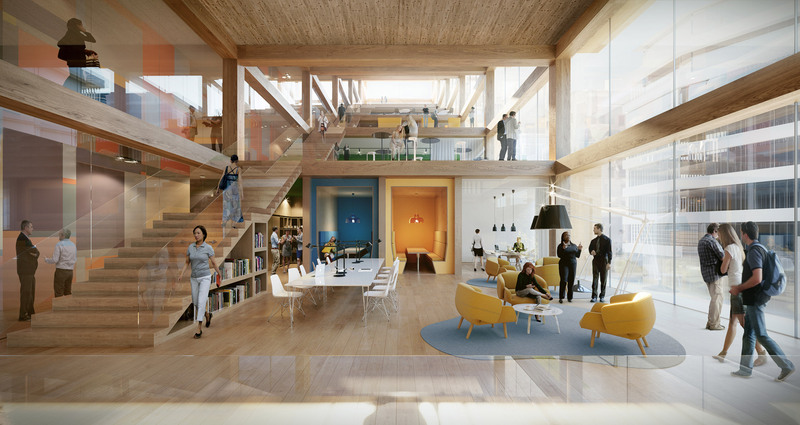 Examples include Shigeru Ban’s Terrace House in Vancouver, which would be the “world’s tallest” hybrid timber tower, and Herzog & de Meuron’s tiered proposal for Vancouver Art Gallery. 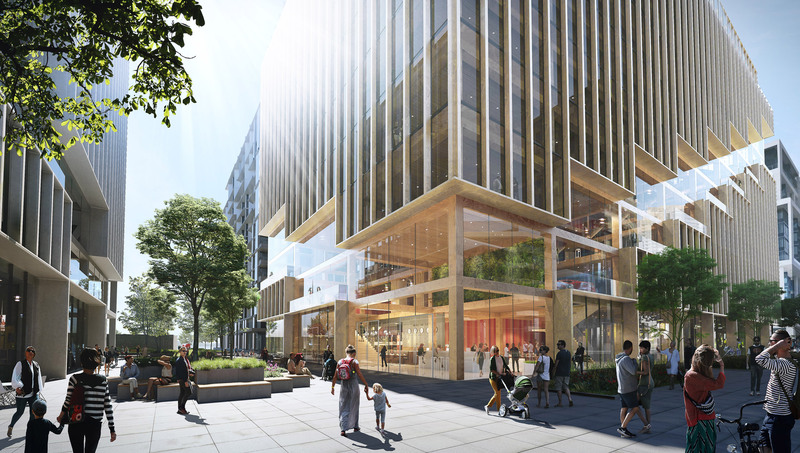 “Canada, with its great forests, seems a natural place to build the tallest timber office building in North America,” said Jens Holm, partner in charge of 3XN North America and head of design for the T3 project. 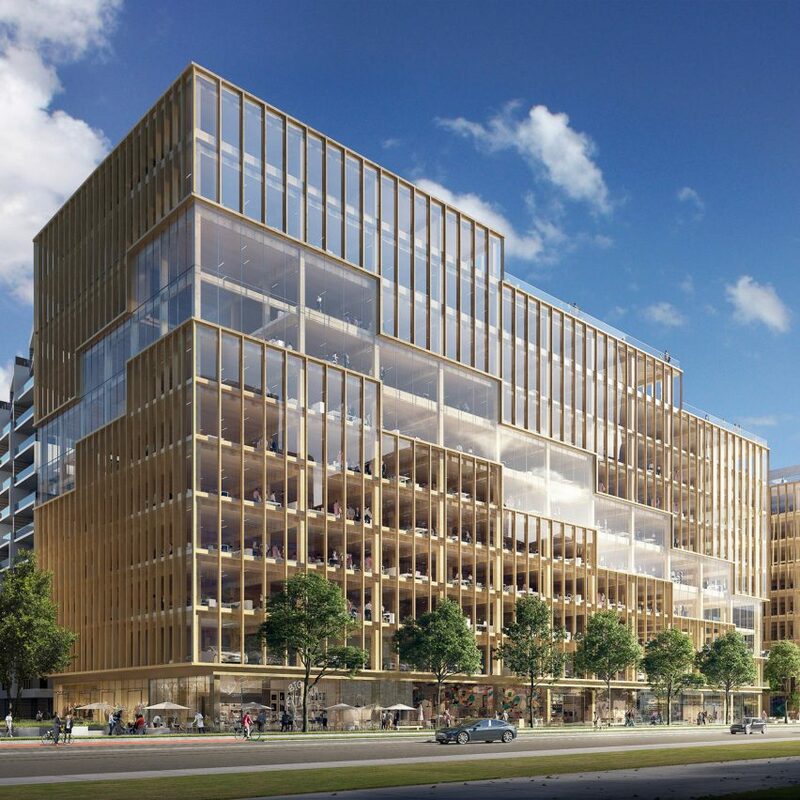 Other timber projects reaching great heights around the world are Mjøstårnet by Voll Arkitekter in Brumunddal, Norway, which is the world’s tallest wooden building, as verified by the Council on Tall Buildings and Urban Habitat. 3XN’s T3 Bayside is proposed for Toronto’s developing Bayside area, situated along Queens Quay East and flanked by Merchant’s Wharf. 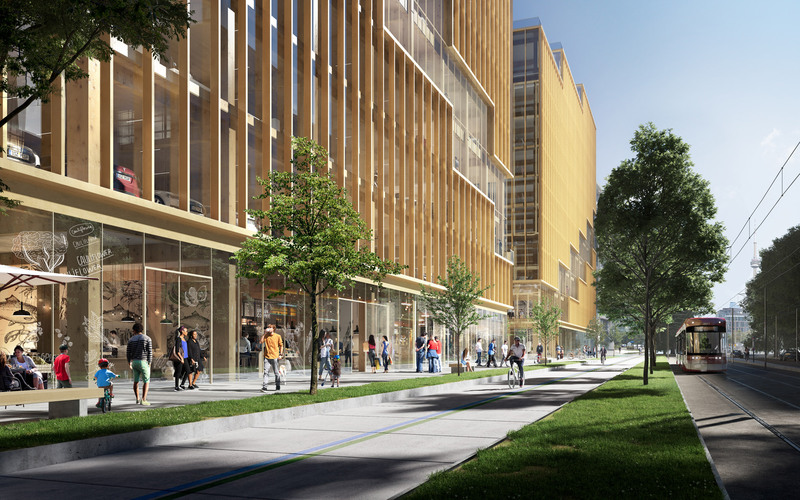 Developed by real estate firm Hines, the office complex forms part of a 2,000-acre (809-hectare) revitalisation initiative to transform Toronto’s waterfront. T3 Bayside would be the first office building in the parcel, and would join residential buildings by 3XN. The post 3XN unveils “tallest timber office building” in North America appeared first on Dezeen.